Another confession when it comes to another new trailer for a re-make of an old movie: I've never seen the original. In this particular instance, we're talking about the 1990 Joel Schumacher film, Flatliners, that starred Kevin Bacon, Kiefer Sutherland, and Julia Roberts. Honestly, I'd heard of the film before, but never enough to make me feel the need to seek it out. This seems both a positive and negative for the re-make as this clearly wasn't a property Sony Pictures imagined might profit from brand recognition, but rather could be a genuine effort on the part of director Niels Arden Oplev (the original Girl With the Dragon Tattoo) and writer Ben Ripley (Source Code) to "re-imagine" the material and bring it into the modern day. To this effect, it seems this new film won't necessarily be as much of a re-make (all the characters will technically be new characters) as it will be a progression of how far science has come since that first film was released. This is an interesting enough approach and the team involved, including a strong cast that is headed by Ellen Page, seems credible enough to pull something off that might end up being legitimately engaging. By the same virtue of public perception though, this new Flatliners could just as well be written off as unnecessary and disappear from cinemas come September without so much as a peep. It will undoubtedly be one worth watching as it seems reviews and pre-release buzz will ultimately decide the fate of this one-especially if it ends up being any good and people react to it in ways that provide positive word of mouth. On a final note, Sony wasn't completely ignorant to the nostalgia factor that is fueling so many Hollywood decisions at the moment and have enlisted Sutherland for a role in this new film, but have confirmed he will not be reprising his role as Nelson from the original. Flatliners also stars Nina Dobrev, Kiersey Clemons, Diego Luna, James Norton, and opens on September 29th, 2017. 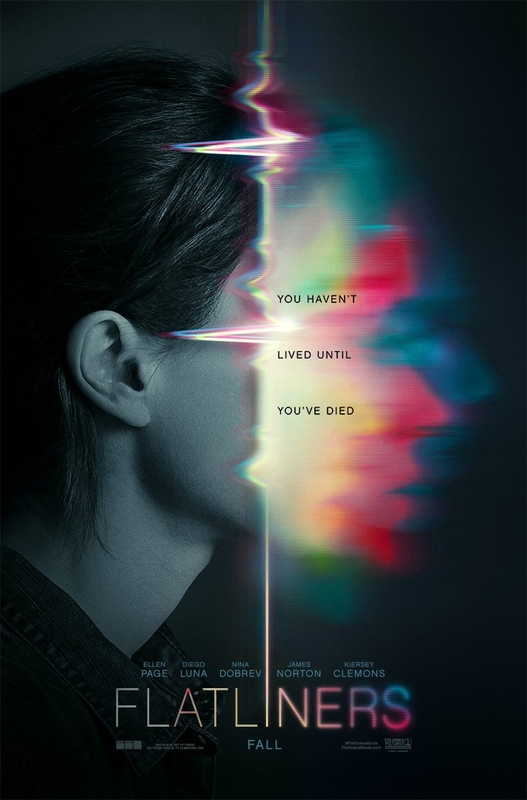 Synopsis: Medical students experiment on "near death" experiences that involve past tragedies until the dark consequences begin to jeopardize their lives.